In-unit washer/dryers aside, "no-fee" apartments are the dream of most NYC renters. 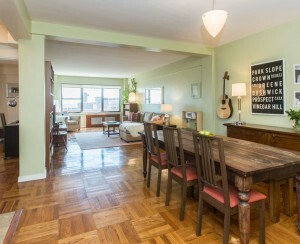 And there are plenty of websites and services specifically designed to help you unearth apartments you can rent without paying a broker's fee, including urbansherpany.com, nybits.com, rentenna.com, urbanedgeny.com, rdny.com, and newcomer loftable.com. All of them aggregate listings from landlords and management companies. Then there's InsideDigs.com, a 10-month-old entrant in the no-fee search arena that we finally got around to exploring this weekend. This "peer-to-peer" search site heads upstream, soliciting information from NYC renters whose leases are about to expire, along with reviews of their apartment and the building. See something potentially intriguing, then email the current renter directly for more info so you can contact the owner before the listing winds up with a broker. In order to browse, you need to fill out a profile of your own apartment (it's okay if your lease isn't coming up; there's a "just sharing" option) or pay an annual fee of $19.95. It's a great concept, and we very much enjoyed perusing renters' reviews (some choice excerpts below). The site is still in beta, with about 1500 users so far--including many whose leases aren't expiring--and we look forward to seeing the about-to-move population expand to produce a more robust selection of listings. "Living in BPC is the worst punishment ever. Nothing to eat, drink or do. Unless you have a stroller to push around. The building is very very nice and so are the apartments, but get me the hell out of here." "The building is a full-service luxury high-rise. My unit has a balcony and we've split a one-bedroom into two. There is currently a wall up and it will be taken down before we leave. If you want it in place, you'll have to let us know asap. Location can be a downer but it is up to you. Personally I loved it because it was so quiet, and hipsters just confuse me. I also love to cook; to match the stainless steel kitchen is a year-round farmer's market two blocks away. Produce there is the cheapest in Manhattan guaranteed. The produce is so fresh it would qualify as a reference in a rap song. Also, Esposito's is one block over so you have no excuse when it comes to fresh spicy Italian sausage. Dig. The majority of people living in this building are the 'seen and be seen' type, so if that's your scene, you'll be satisfied. If it isn't, no worries, you can keep it real with a bottle of JW and enjoy the sunset on your blacony. It's a great spot to contemplate the varying levels of insanity in this city; you can start with the rent and despicable brokers. I did." 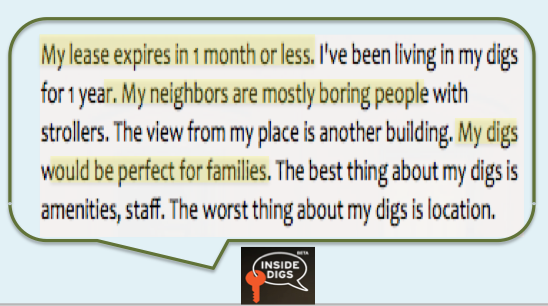 As InsideDigs attracts more users, we hope more of them will post pictures as well. 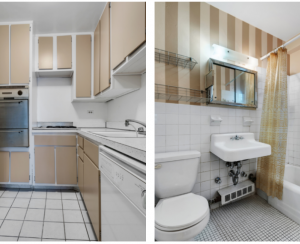 For now, click over to StreetEasy's rental section, plunk in the building's address and peruse current and former listings to get a sense of what the apartments look like in a particular building and what's available right now. Who is responsible for a clogged drain: You or your landlord?